Love these. Easy to install and use. White is really bright when the sun shines through so if you’re looking for blocking bright light I’d recommend darker but for privacy and light these are awesome. Great shades at a great price! These shades add the perfect touch to my home. It was hard to find this size anywhere so I was happy to see them offered at so many different sizes. They do seem a little fragile due to the top down bottom up mechanism, but if you live in a household without kids or rough people you should be fine. 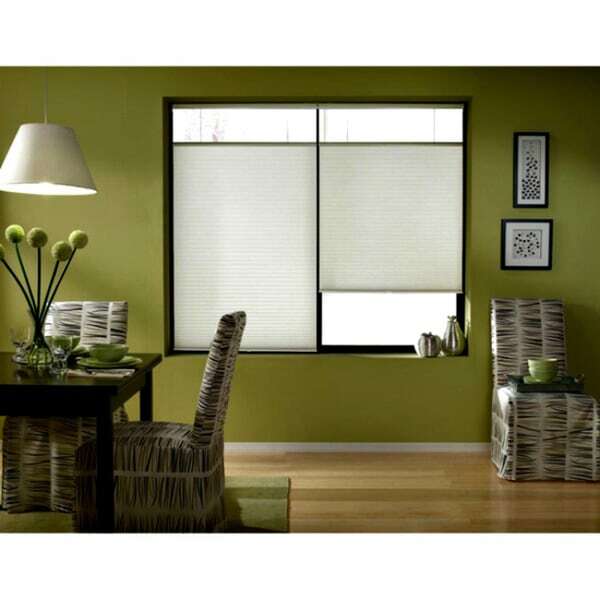 Have reordered these blinds several times for both my own windows and for rental units. Easy to install, look good. Cordless. Good for ground level windows where you want light but also want privacy. Perfect solution. Great blinds. Easy to install. Great to have light in the room and still have privacy. Materials are nice quality. Delivery too much longer than I expected. This blind really brightened up our room. It was easy to install and glides up and with ease. I have been so pleased with these blinds, I have slowly been replacing all in the house to this style. Product was very Easy to install. True to size as adveerised. Overall happy with our purchase we purchasedother sizes as well for our other Windows. Need some time to judge. Last time we installed similar sets of blinds ( top to down), one did last just a few months. Had to replace it again. We shall see how those work. "The inside of my window measures 35.5" wide x 35" long.. what size would I need to buy?"